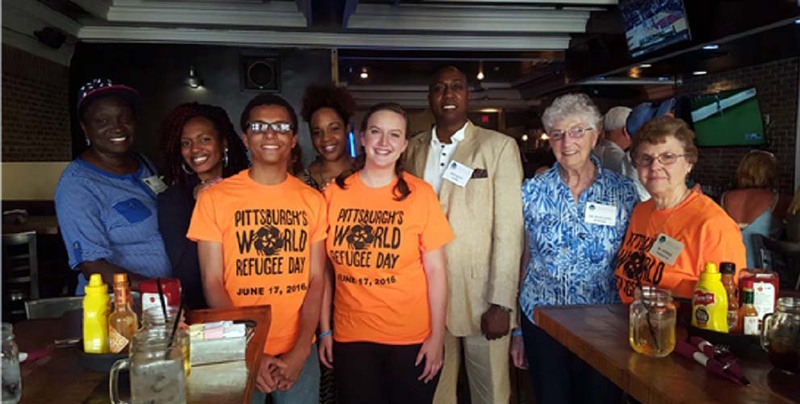 Acculturation for Justice, Access and Peace Outreach (AJAPO) empowers refugees and immigrants to become self-sufficient and integrated into the Pittsburgh region. The Pittsburgh Foundation awarded a Small and Mighty grant of $15,000 in 2018 to Acculturation for Justice, Access and Peace Outreach (AJAPO). Between 2000 and 2014, more than 18,000 immigrants and refugees arrived in Allegheny County. As the immigrant population regionally is expected to grow, AJAPO aims to empower refugees and immigrants, helping 320 people each year secure jobs, integrate into schools, adjust their legal status and rebuild their lives after persecution in their homeland. The 2017 Small and Mighty grant of $15,000 to AJAPO was used to help 35 young refugees, ages 10 to 24, obtain permanent residency and provides temporary staff to speed up medical and passport photos, application submission and follow-up required by United States Citizenship and Immigration Services for 140 children. The 2018 grant of $15,000 will go toward retaining more staff to help decrease a waiting list of people seeking services. AJAPO provides a continuum of care, which empowers refugees and immigrants to become self-sufficient and integrated into the Pittsburgh region. Founded 16 years ago, AJAPO focuses on five areas: refugee resettlement, family cohesion and empowerment, immigration services, youth development and employment services. The Small and Mighty grants program, an outcome of the Foundation’s 100 Percent Pittsburgh organizing principle, has awarded $308,821 in 2018 to 22 local nonprofit organizations with budgets of less than $600,000. AJAPO is one of only two organizations in the region providing immigration services and has an annual operating budget of $525,271.